We’ve now come to the final game in the series and Wonder Boy is now absent from the title. Well that’s because in Monster World IV it’s technically Wonder Girl now. This game would stay in Japan for a very long time and took on the Monster World titles because that was what most of the games were known as over there. 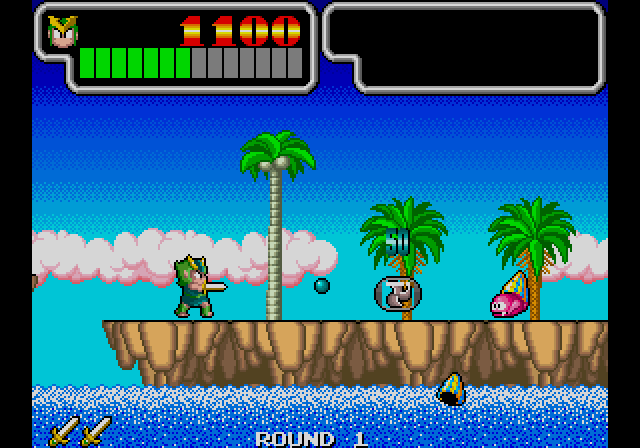 I played Monster World IV on the Sega Vintage collection for Xbox 360 brought to us from the fantastic developers M2 who do very fine work emulating old games to new systems. I brought this game day one for 800 Microsoft points (remember when that was a thing?) so I could play the official English translation of the game. The collection also included Monster World and the English arcade version of Monster Land, it’s well worth purchasing. While I did like Monster World IV it felt somewhat of a back step for the series but there is no denying this is the cutest entry in the series. You play as Asha tasked with leaving your village to rescue some missing souls. These souls end up being bigger versions of the familiars (or buddies) you had in the previous game. The quests inevitably ends up with you saving the world – because lord knows we need to save the world just one more time. The setting has completely changed you’re now in an Arabian style environment, the game is incredibly colourful and definitely has the looks, pushing the Mega Drive’s colour palette to its limits. The music has also been re done and still maintains the charm and Wonder we have come to expect from the series. Wonder Boy in Monster World is up there with one of my favourite games of all time. This was my childhood Zelda, this was my epic adventure and it would stick with me for years to come. I first played Monster World on my original hardware when I was growing up in the 90s. The game captivated me as a child with its colourful graphics, fantasy setting and all sorts of weird but cute monsters running around. Monster World feels, to me, like the height of the series; after five attempts they finally found the winning formula. Although to fans this debate is often between Dragons Trap, Monster World and Monster World IV (this game’s sequel, but don’t worry all will be explained on that title in the next part). Yes, this is the second Wonder Boy III in this Wonder Boy retrospective. In all regions Wonder Boy III: Monster Lair was also released, and technically it was first if you count the first release in Japan. This is not the case on consoles in the West, where The Dragon’s Trap actually released first. You see, on consoles in Europe The Dragon’s Trap released first in 1989 on Master System and Monster Lair released on the Mega Drive in 1991. In North America The Dragon’s Trap released in 1989 on Master System alongside Monster Lair on the Turbografx-CD, and while Turbografx-16 owners could get this title as Dragon’s Curse in 1991 there was no Genesis release. Confusing, right? Monster Lair would be the first Wonder Boy III game I would play. I first played The Dragon’s Trap when I downloaded the Master System version on the Wii Virtual Console (an online store now closed) and this would actually be the last game in the series I would play. 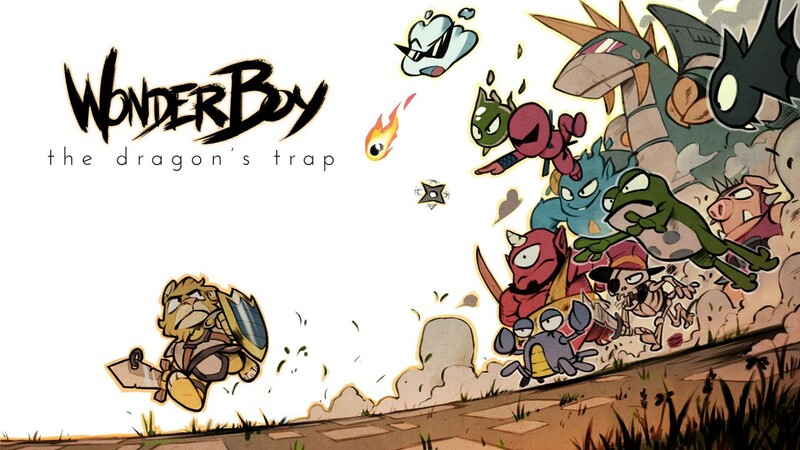 The Dragon’s Trap is very beloved by Wonder Boy and Sega Master System fans alike with good reason. The game is a direct sequel to Monster Land only this time the game has finally been adapted for consoles in all the right ways. The stupid timer is no where to be seen and you actually grind enemies for gold to upgrade your equipment. The level based design is also gone and the game now plays out as one large connected world you can explore at your own pace. I hear people call these sort of games metroidvanias now for some reason. 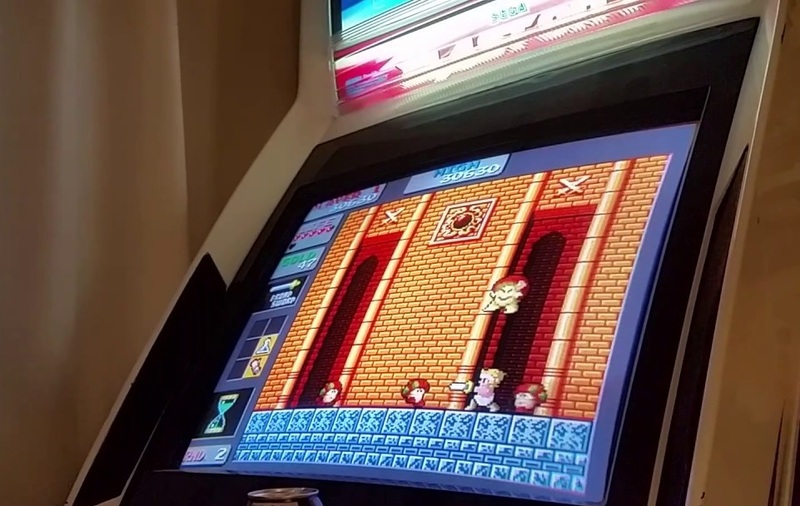 Wonder Boy III would serve as the Wonder Boy series’ final outing in the arcade world with only two console ports – sad times for microcomputer fans. But this was one hell of a note to end on for the arcade series and would serve as my favourite game in the arcade trilogy. I originally played this game on the Mega Drive (a NA Genesis version never released) as a rental and took to it very quickly. It was colourful, the music was catchy and the gameplay was fast frantic arcade fun. Strangely, when researching for this retrospective it appears the rest of the internet does not share my love. But this is my series not theirs so let the positivity begin. Monster Lair once again tore down the gamplay style from the previous two games and started with yet another fresh canvas with a few minor things fetched back from the bin. The main carry over being that it still a 2D platformer and the big change was that it was now a sort of side scrolling shooter. Your default weapon was a shooting sword, what I like to call the pea shooter. As you mow down cute monsters you will regularly pick up new weapons which would last temporarily. Each weapon felt quite unique and encouraged you to adjust on the fly to the given situation. Even if the weapon didn’t suit you, at least you knew it would only last for a very short period before you returned back to the pea shooter. The vitality meter would make its final return in the series from the very first game, fitting in quite well with the arcade action. As well as tripping on rocks, enemy projectiles would also assist in draining your vitality. The dreaded alarm sound would fire off once your bar hit the red and you were about to die. Not quite as memorable as Sonic’s infamous drowning music but it still haunts me today. Similar to the first game you’ll still die in a single hit accompanied by an amusing sound effect and your sprite rotating to the bottom of the screen. Additionally your odd avatar picture turns from a boy (or girl) into a creepy green skull temporarily. Unlike the first game you don’t restart the level, instead a handy dragon dumps you back into the game to continue where you left of. Be careful though because if your dumb like me you can sometimes get the dragon to drop you off in a bottomless pit instantly killing you again. This would be the first and only game in the Wonder Boy series to feature simultaneous cooperative play. One of you playing green haired Leo and the other the fabulous Princess Purapril (who would sort of feature in a later game). My first venture into Monster Land was on a friends Master System a long time ago in a countryside village far away. I remember being wowed by the colour and hitting enemies with a sword. It doesn’t take a lot to impress me, I also don’t remember getting very far. I didn’t get to really have a good old go at the game until it’s release on the Xbox 360. This version wasn’t even the Master System port, it was the English translation of the arcade port that was never released in the West. I have dabbled with the Master System port but this piece will mostly focus on my experience with the English arcade version. Monster Land wiped the slate clean and started the series from scratch. The only main carry over being that the game was called Wonder Boy and it was a 2D platformer, otherwise a lot was thrown in the bin. No Vitality bar, no one hit deaths, no skateboard. Instead we got a health bar, swords, armour, a shield and even shoe upgrades, also you can drink alcohol in this game, yes… really. 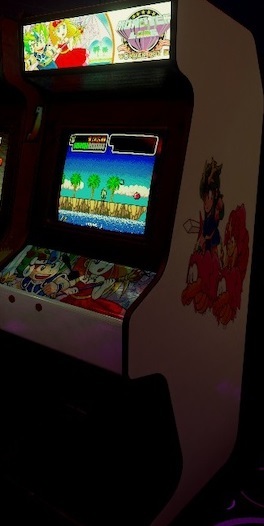 It’s a arcade game with RPG elements which still feels a little surreal thinking about it. This was one hell of a departure from the blonde kid in the green bush skirt. Of course if you played the arcade game you started out in what looked like a nappy (diaper) until you found your first suit of armour. The console versions showed more sympathy and your character was dressed in armour from the get go. Our hero is now called ‘Book’ or Bocke Lee Temjin if you manage to finish the arcade game or read the Master System manual. 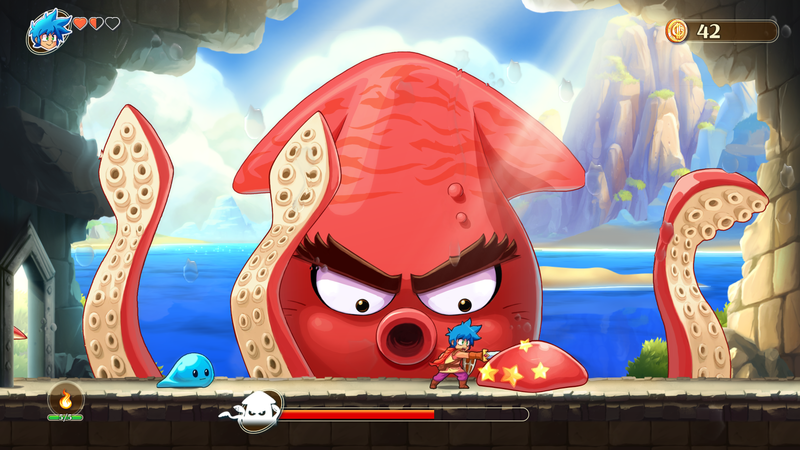 Monster Boy is the spiritual sequel to the Wonder Boy franchise, a series Sega has left dormant since 1994. These games were hugely important to me growing up and hold a very special place in my heart. I probably love the Wonder Boy series how people love the Zelda series except without dressing up as one of the characters (real chain mail is expensive). For me it has been a very long wait for a sequel spiritual or otherwise. We have since seen a few re-releases of the previous games on multiple digital platforms. 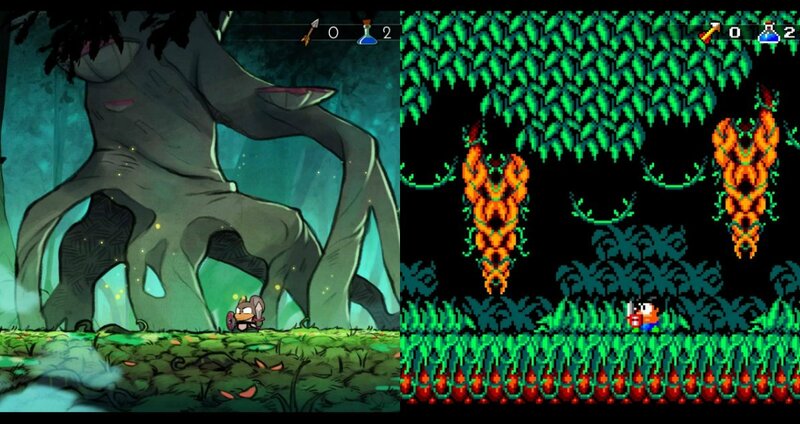 In 2017 developer Lizardcube gave us a beautiful remake of Wonder Boy: The Dragons Trap. Originally we were going to see Monster Boy release that same year but developer Game Atelier decided to halt for a final year to polish up the gameplay and completely redo the graphics. Its been almost five years of development for the team, was the wait worth it? On booting up the game you’re greeted with an impressive anime style cutscene which gives you a preview of the enemies you will be fighting and the animals you will be playing as. The song playing is also awfully addictive and it hasn’t left my brain since I heard it at E3 this year. You play as Jin, a young chap with blue hair whose uncle appears to be up to no good changing the people of Monster World into animals as well as having a potential drinking problem. It’s not long into the story when your Uncle turns you into pig dressed in pirate gear (a nod to my favourite NPC in The Dragons Trap). You soon learn that to lift the curse you need to collect five magical orbs scattered across various dark corners of Monster World. The story comes with a few twists and turns and inevitably ends up as a typical save the world type tale. What makes this story stand out however, is its sense of humour. All the characters speak with text boxes including Jin himself and won’t shy away from making a witty joke about the current situation. Right up to the games darkest turns it was hard not to laugh at some of the games witty attempts at humour. The story is straight forward to follow and doesn’t really get in the way of your adventuring. Should you need to repeat sections of the story the game does allow you to skip them. I’ve been waiting for a Wonder Boy revival ever since I saw that dammed “to be continued…” message at the end of Wonder Boy in Monster World on the Mega Drive. I did get some relief when the Wonder Boy Collection was released in 2012 for Xbox 360 and PS3, however. This game featured the localized version of Monster World 4 which was the sequel to the beloved game from my childhood. Of course this was just an English translation of a Japanese game that had been around for years. Some would be happy with this but, I wanted more Wonder Boy darn it! Which was why, last year I came over as giddy as a school kid when I heard Wonder Boy would be making a return in not one, not two but three games. 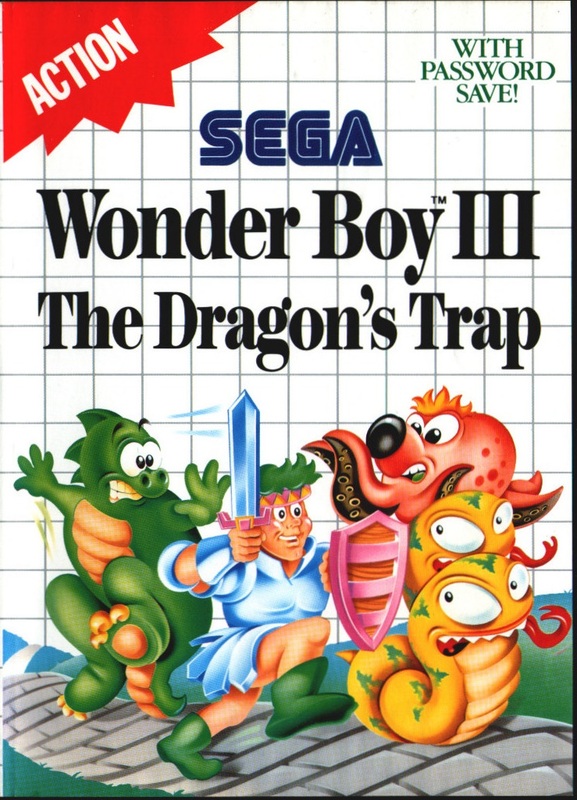 One of these three games, Wonder Boy: The Dragons Trap developed by Lizardcube, is a remaster of the 1989 Sega Master System game. While not exactly a new entry into the Wonder Boy series, Lizardcube have put a lot of care and attention into this title, reviving a classic forgotten game to showcase to old fans and a potential new audience. The Dragons Trap is a beautiful remaster with hand drawn graphics, which brought Monster World to life by filling the 2D game with lots of detail in the backgrounds as well as the character sprites. The game allows you to instantly switch between the old and new graphics at the touch of a button. This simple effect doesn’t interrupt the gameplay and allows you to see just how much effort has been put into the remaster when held against the original. The soundtrack has also been updated this time with a full orchestra. The music is still reminiscent of the old 8 bit titles but has really been brought to life with the updated score. Just like the graphics you can also switch between the old and new soundtracks at the touch of a button. Wonder Boy is one of those franchises that is probably better known in Europe than anywhere else. It’s odd to think that a Japanese-developed game that was given wide distribution find a home there of all places. Fred and Jam delve into the development, crazy naming conventions, and evolution of one of the most versatile franchises ever. I’m a little late to the party reporting on this announcement but I thought it warranted discussion. People: we are currently living in great times in gaming. Not only are we getting a spiritual successor to the Wonder Boy series in the form of Monster Boy being developed by German developer FDG entertainment, but we are also getting a remake of what some may consider the best entry in the Wonder Boy series, Wonder Boy III: The Dragons Trap from French developer Lizardcube. Of course the remake has removed the “III” to eliminate confusion. The Wonder Boy chronology is incredibly confusing for gamers and is a topic I will be addressing very soon on the site. The reveal trailer so far of The Dragons Trap showcases some beautiful artwork as well as some actual gameplay which appears to closely resemble the feel of the original game. In fact there were scenes I noticed in this game that appeared the same as the original just with the updated graphics. The simple 2D gameplay remains intact. The Dragons Trap also allows you to transform into various animals like a dragon, a mouse, a Lion as well as several others. Surprisingly I saw no human form of Wonder Boy in the trailer. I think what makes me happiest about The Dragons Trap and Monster Boy is both games are being developed independently without the use of crowd funding. It’s almost as if developers read my open letter to Sega. Both games also seem to be in very good hands looking to develop a product that is faithful to the original series. My only critique is the games do look dangerously similar as both feature animal transformations. However, if the developers are as passionate as they say they are then I’m still on board. Monster Boy really is a new tale entirely whereas The Dragons Trap appears to mirror the infamous Master System/Game Gear game. I really can’t stretch how giddy I am that The Dragons Trap and Monster Boy are coming out. I’ve been waiting for a sequel to the Wonder Boy series for years and now we’re spoiled with two. I’ll buy both these games day one possibly on multiple systems (especially if they’re handheld versions) and cover them on the site. But hey, if any other developers want to jump in any release another game then I’ll buy that too – some name suggestions include Wonder Otter and Monster Planet.